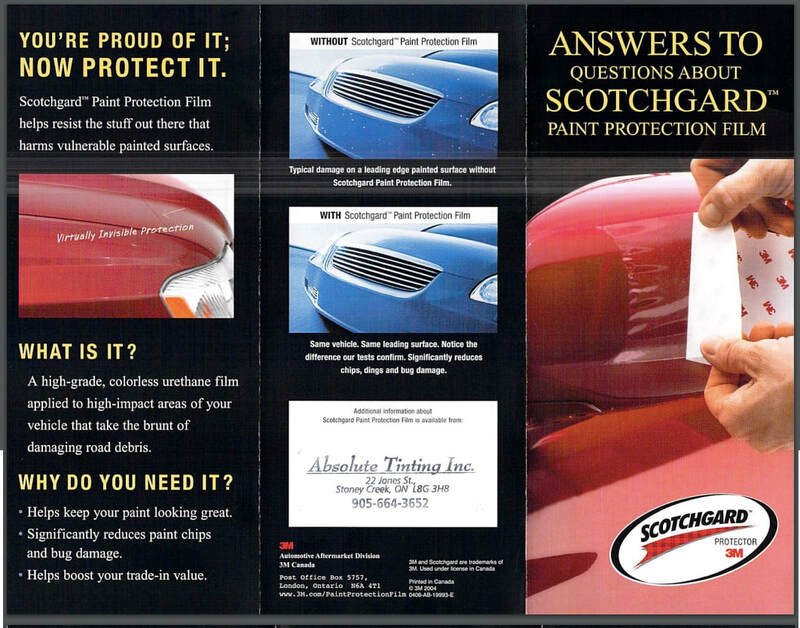 Protect your car with paint protection! Paint protection film is a clear film that is placed on your car to prevent damage from such as stones, bugs, sand, road tar, salt, grime, bird waste and other debris your car may come across on the road. It's made of colourless urethene film that resists harms to painted surfaces, and is applied to the highest-risk area of your vehicle like the the hood, mirrors, bumper, and rocker panels. 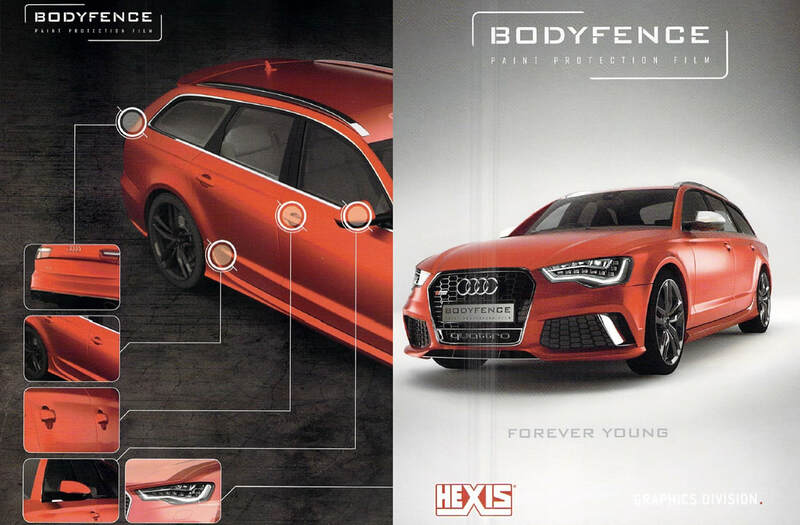 We use only the best brands in the industry for paint protection - Scotchgard by 3M and Bodyfence by Hexis. 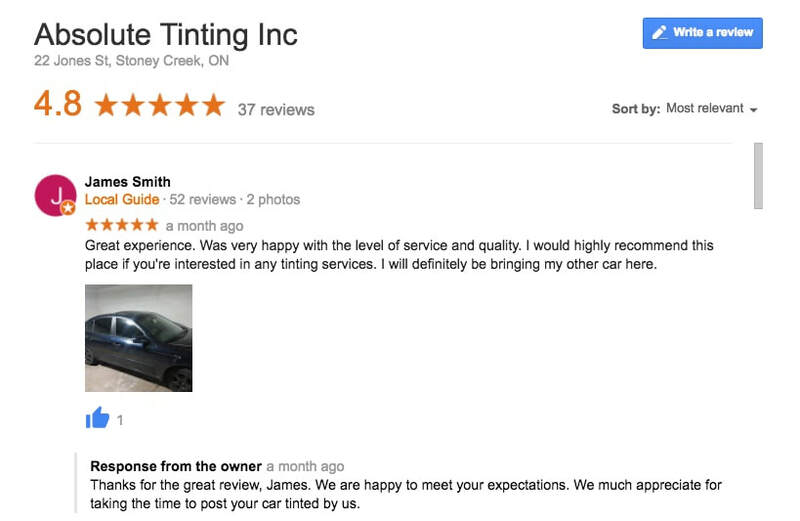 At Absolute Tinting you are getting the most experienced and skilled film technician in the Hamilton area. We are proud to have been serving the community from our shop in Stoney Creek for more than 20 years. Our reputation and workmanship speaks for itself. Call us today at 905-664-3652 or fill out the form below to get a free quote. We hope you'll become our next happy client!